Whether you need support for an older version of Dynamics AX or you're ready to start a journey with Dynamics 365 to power your entire business in the cloud, we're here to help. Let our team walk you through a business systems strategy workshop to minimize your risk and maximize your reward. 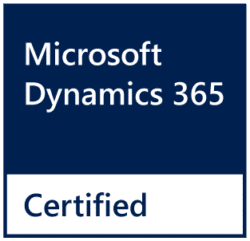 We can help you evaluate your current solution and show you how to get the most out of Dynamics 365. NEED SUPPORT ON AN EXISTING DEPLOYMENT? We offer 24x7 global support to help with ongoing maintenance of Dynamics 365, AX2012, AX2009 or earlier solutions. And if those deployments need additional enhancements, we can help with that too. Even if you are just researching and have some questions, feel free to fill out this form. We're here to help wherever you are in the process. Since 1994, Sunrise Technologies has focused on delivering global, omni-channel, and Tier 1 supply chain solutions for apparel, footwear, home furnishings, textiles, consumer products, manufacturing, and retail companies. We have a proven track record deploying large scale projects and when we ask our customers why they picked us, the #1 answer is unanimously our industry experience.